But whatever the size of these new riches, what will make a difference to the economic development of West Africa and the lives of its citizens is how these resources are managed. In this regard, as far as the economic management of these resources is concerned, governments face two set of issues: on the one hand, they must escape any potential economic woes they may carry; while on the other, they need to channel extra revenues into economically efficient outcomes. Regarding the former, governments need to ensure that no negative impact on the economy ensues, typically through the Dutch disease effect. Dutch disease is an appreciation in the real exchange rate that makes the non-resource sector of the economy less internationally competitive and therefore reduces jobs and triggers de-industrialisation and dependency on natural resources exports. On the latter, governments need to develop a positive agenda on how to spend the extra revenues, both in terms of content (i.e. what are the items that deliver the biggest impact on growth and citizens’ welfare) and timing (i.e. should countries wait for revenues to materialise, should they try to bring forwards expenditure through debt, or should they save some of the revenues for the future?). A general agreement in the empirical literature is that to manage the risks of Dutch Disease, governments need to watch expenditures’ growth rate. If new expenditure is pumped in the domestic economy faster than domestic production can accommodate it (“the absorptive capacity” of the economy), the price of non-tradable goods will increase, causing the loss in competitiveness described earlier. 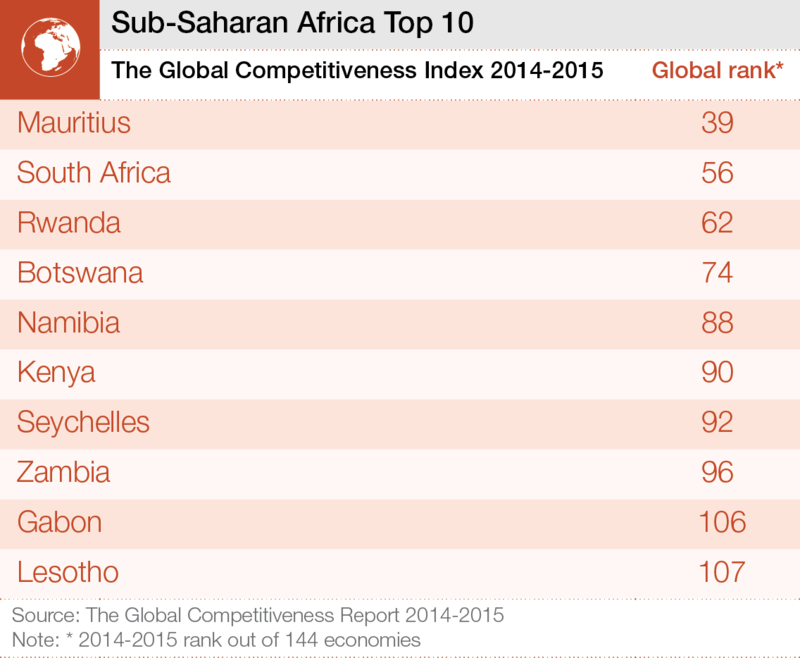 West African countries face a relatively small absorptive capacity: no country in the region figures among Africa’s top 10 most competitive economies, mostly due to challenges to infrastructure (especially electricity). So a cautionary tale remains as to how fast revenues can be spent. Next, is the question of where to spend, and when. The figure below tries to summarise the decision tree facing by policymakers. First, as I blogged in the previous instalment, revenues might take some time to reach their peak after production. Should countries like Sierra Leone or Liberia, facing significant human development needs, wait for 2020 at best to fully undertake the investment in human and physical capital? On a more practical level, the government needs to deal with their citizens’ expectations. Throw in the election cycle, and the pressure on politicians could become irresistible. So, why should governments not try to bring expenditure forwards by borrowing (usually through bond issuances) against future revenues? Ultimately, borrowing only makes sense if it will generate enough returns to at least cover the future interest payments – so it could make sense for countries with very low human and infrastructure development, where early investment can generate high returns. But this depends on understanding very well the future level of revenues. Second, governments might want to choose to save some of the revenues for future use. This might slow down the rate of expenditure growth and mitigate the risk of Dutch disease. They could also make sure that finite resources are not consumed only by today’s citizens, but accrue to future generations. A number of options to save are available, from accumulating central bank reserves to setting up a standalone Sovereign Wealth Fund, an increasing trend among Africa’s oil producers with Nigeria joining the ranks a couple of years ago . However future generations will also benefit from budgetary spending today, if it creates physical capital that will deliver economic benefits over a long period (such as a key transport infrastructure). But the trade-off between recurrent and capital expenditure is not necessarily so obvious: operation and maintenance expenditure (which is current expenditure) to keep existing capital stock in good working conditions can often be more economically valuable than building new infrastructure. And whether investment in infrastructure is going to make economic sense will very much depend on project selection and implementation capabilities. A common temptation for government is to use new natural resource revenues for immediate consumption by increasing public sector wages. It is straightforward, it is quick, it will be felt by those who ultimately work the closest with politicians. Is this a good idea? As an economist, you will not be surprised that I would say “depends”. First, if the new revenues can be seen as a sustainable, increase in national wealth that should be reflected in permanent increased consumption. Second, it will also depend on the relative current size of the wage bill relative to current revenues, and to the anticipated new natural resource revenue. Third, it will hinge upon whether wage increases are justified by the need to attract better-qualified staff, and are matched by reforms that ensure that the best staff is indeed hired and retained. But even these decisions, as multi-dimensional as they are, still remain at a very aggregate level. Can we really point out the specific steps to make a different specifically to human development through resource revenues? In my next blog, I will try and go in some more detail about the spending options available specifically to bridge the human development gap. The AfDB and its Natural Resource Center worked together with the Gates Foundation and produced a joint report to examine how revenues from extractives can be managed for greater human development impact. In a short series of blog posts, Pietro Toigo, Chief Macroeconomist at the African Natural Resource Center, will outline the report’s key implications for the West African region.